A pair of shoes for every Oregonian who died while using our roads in 2016. So far. 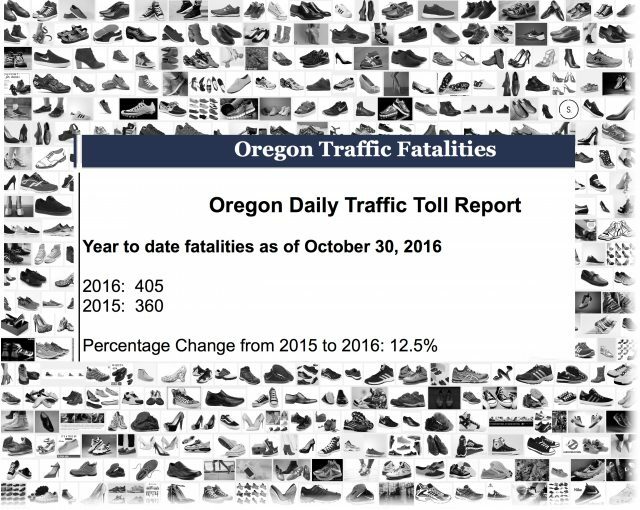 Each pair of shoes in that image above represents just one of the 405 precious lives lost on Oregon roads so far this year. We are on pace for yet another grisly record locally and across the state as our collective efforts to make road use safer continues to be outpaced by the growth of the threat.